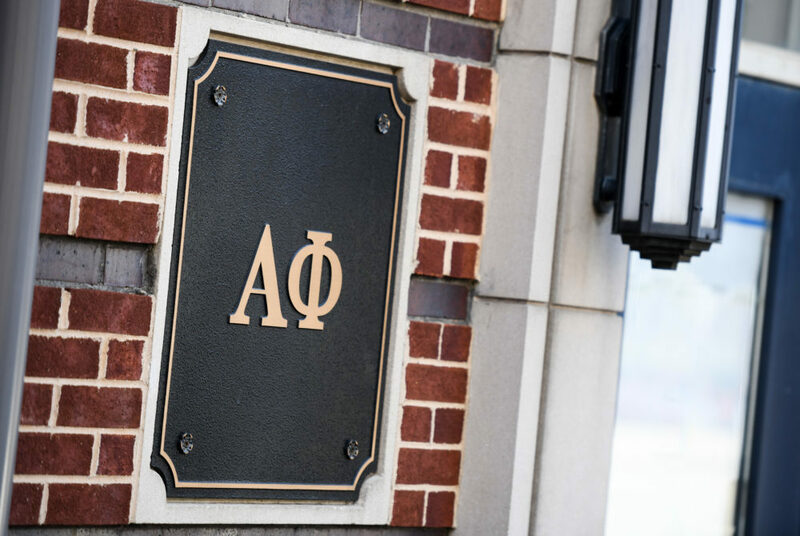 Three Alpha Phi members will be kicked out of the sorority for their involvement in a racist Snapchat post that created campus-wide outrage. Three members of a sorority involved in a racist Snapchat post that created campus-wide outrage Thursday will be kicked out of the chapter. 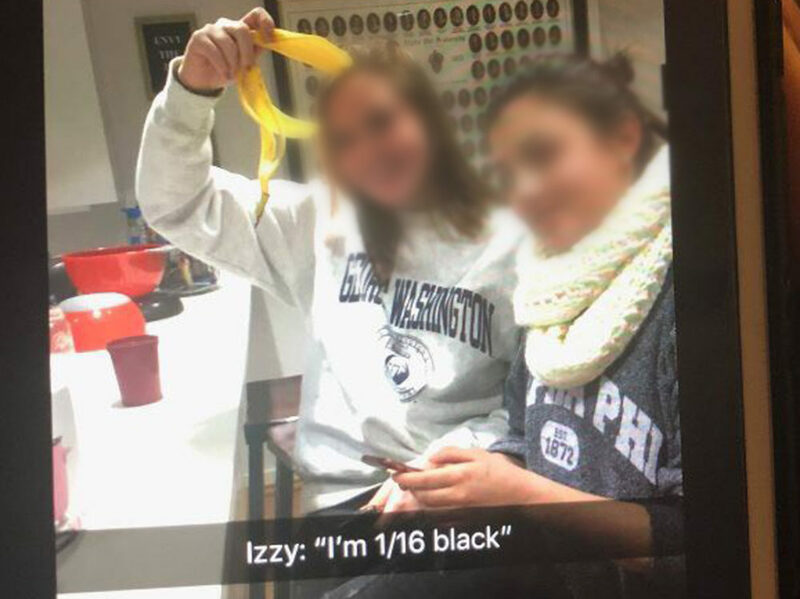 In a Facebook statement Friday morning, GW’s Alpha Phi chapter apologized “without qualification” for the incident, saying its members in the photo showed “offensive and inexcusable behavior.” Both the student who took the photo and the two students depicted in it will have their membership in the chapter terminated, according to the statement. The photo shows two members of Alpha Phi, one of whom is holding a banana peel. The post includes a racist caption attached to the photo. A Snapchat post emerged Thursday morning purporting to show members of Alpha Phi with a racist caption. “We recognize that there are issues within our organization relating to our privilege and lack of diversity, and we are committed to listening to the voices of those who have been harmed by the actions of those individuals and by our actions as a chapter,” the group wrote in the statement. The chapter also apologized for what it called a delayed response to the incident. The group posted a statement Thursday night, which said the members involved in the post would be suspended “for a period of reflection.” The post was deleted shortly after being published. “Regardless of the circumstances or true intentions of those involved, the end result was offensive and hurtful,” the now-deleted statement read. The chapter’s apology comes after Provost Forrest Maltzman released a statement condemning the actions of the members Thursday. Students started the hashtag #AlphaPhiNot4Me and #AlphaPhiBigotry Thursday night after student organizations held a forum to respond to the incident and address wider issues of diversity on campus. Abiola Agora, the president of the GW’s NAACP chapter, said Alpha Phi’s reaction was not enough and the entire chapter should be suspended. 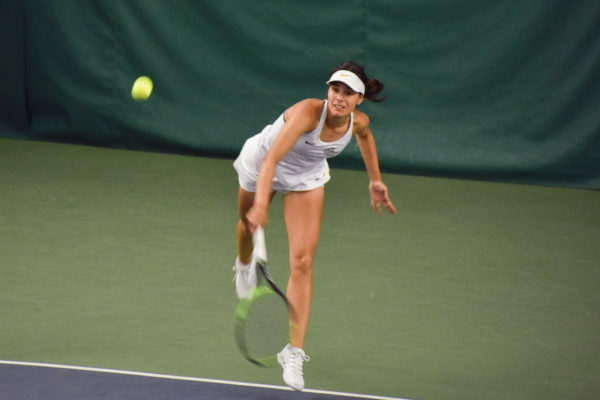 “I think this is what people wanted, and I’m ready to see the whole chapter get kicked off,” she said. She said the chapter president hasn’t responded to the group’s calls to address the incident. She said multicultural Greek organizations are held to a different standard than Panhellenic sororities when it comes to campus violations. 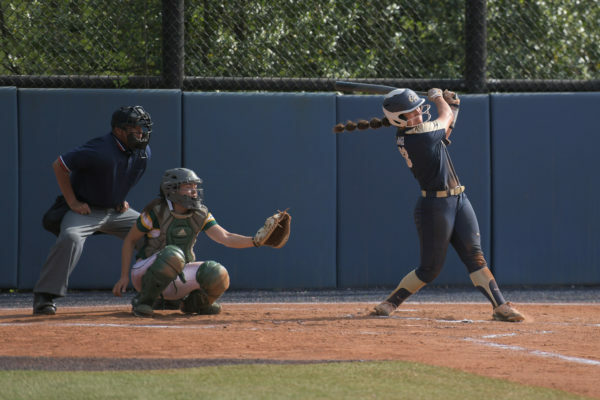 “I think if this had been any anyone else, they would have been gone already,” she said.